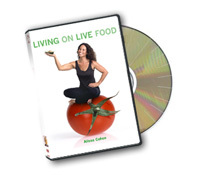 Alissa Cohen's LIVING ON LIVE FOOD Book and DVDs are now available for purchase!! 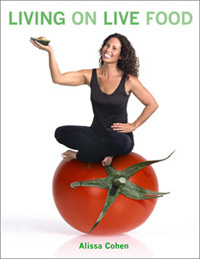 You can order the book alone for 29.99, the DVDs alone for 29.99 or both of them for 55.00 dollars! Order now to get in on the first run! Having over 4000 names in my address book of those of you who have been anxiously awaiting the release of the book, the first 1500 are already gone! is easy, quick and secure.